This year's starting Lineup has 49 puppies competing for the famed title of Most Valuable Puppy. The tailgate starts at 2:30 PM ET/PT with the Puppy Bowl Pre-Game show, which features analysis and commentary from a team of sports correspondents. 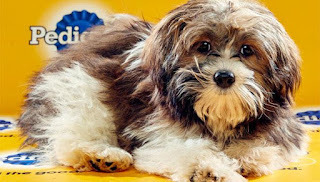 At 3 PM ET/PT, Puppy Bowl 2016 kicks off at GEICO Stadium with a furry group of line barkers and wide retrievers, making adorable tumbles and fumbles in an effort to score winning touchdowns for TeamFluff and TeamRuff. If you're not in the mood for Coldplay, this year's Kitty Halftime Show brings a cat-astrophic San Francisco inspired kitten takeover to the Bay Area. The Animal Planet supports with the Puppy Bowl animal shelters in their work finding adopters. All puppies playing the Puppy Bowl are from shelters. You can already select your Puppy Bowl 2016 fantasy game teams. The Puppy Bowl is so popular that it offers a Fantasy Puppy Football. The Puppy Bowl site has many more special features around the Puppy Bowl XII. Fans can already watch the Puppy Bowl XII Pregame show. Before the Puppy Bowl 2016, cat fans can watch the Kitten Bowl 2016 on the Hallmark channel beginning at noon ET.